The Halks Firm's reputation for strong courtroom advocacy sets us apart from family law firms across Boston. Put a proven legal team behind you. Are you seeking comprehensive counsel from a compassionate divorce lawyer in Newton? Your search ends here. The Halks Firm's level of trial experience surpasses that of many other family law firms in Boston. Our team can firmly guide you through sensitive legal matters involving divorce, child custody, spousal support, guardianship, or other related proceedings. We possess the amount of drive and determination required to champion your best interests inside and outside of the courtroom effectively. When families turn to a Newton divorce attorney at our firm, they will find that we have devoted ourselves to being trusted confidantes and a dependable support system from beginning to end. The Halks Firm's credible rapport with the courts speaks volumes in terms of our legal abilities. As skilled negotiators, we have repeatedly succeeded in helping clients get what they want out of their settlements. Our team is equipped to make your needs, goals, and family-related concerns heard and accounted for by the judge if we can take your case. We serve Barnstable, Norfolk, Wellesley, Middlesex, and Worcester Counties. Call today for a free initial consultation. The Halks Firm's accomplishments in the field of family law are nearly impossible to ignore. 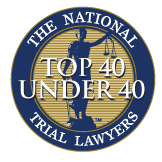 Our divorce attorneys in Newton are proud to be named Lawyers of Distinction, Top 40 Under 40 by the National Trial Lawyer Association, among many other prestigious titles. Through hard work and diligence, our firm has earned the rankings of top family law firms in Boston. We do everything in our power to get the judge to rule in favor of our clients and their loved ones, even if we have to take matters to court. Family Law Is Our Focus. Whether you are dealing with a divorce, child custody, property division, or other legal matter related to your family, The Halks Firm can guide you through it. If you have a case on your hands, it is in your best interests to proceed with a plan. Consult with our legal team to discuss next steps. Why Choose The Halks Law Firm? Free, No-Obligation Consultations: We offer free consultations to discuss your case and consider your options. 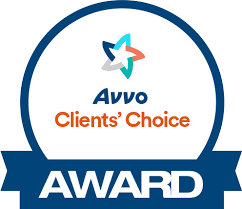 Award-Winning Representation: Attorney Nicholas Halks is recognized by legal organizations such as Avvo, CALI, and The National Advocates. Experienced Trial Attorney: Attorney Nicholas Halks has tried over 40 cases. Consistent Communication: We focus on individual attention to each one of our clients. Assists with All Documents & Negotiations: You're never alone in this process. We're here to help you every step of the way.